Don’t Know Exactly What You Need? Even if you don’t quite know what you’re looking for, our expert staff can help. If you bring your old part to one of our stores, we can measure it to find a match. If you can’t get the part out of your system, have one of our mobile field specialists visit you at your work site or place of business for an in-person assessment. 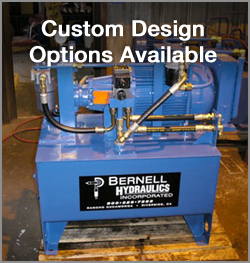 Drawing on our wealth of experience in hydraulics, we can figure out what size or pressure capacity your replacement parts should be. Then we’ll turn to our vast inventory of Parker hydraulic components San Jose CA to find your part. We stock both metric and standard parts, and if by chance we don’t have the part you need, we can place a special order or even create a custom part ourselves. Parker hydraulic components San Jose CA come from an industry leader in core motion and control technologies. Parker has a long history of making high-quality parts that deliver excellent performance in all kinds of hydraulic applications, from aerospace technology to process control. Yet Parker didn’t stop innovating just because they’d designed hydraulic components that worked great. They continue to refine their designs and introduce new versions of their products to provide consumers with the very best in fluid motion control technology.